A very delicate and ligth weight pattern of traditional gold mangalsutra. 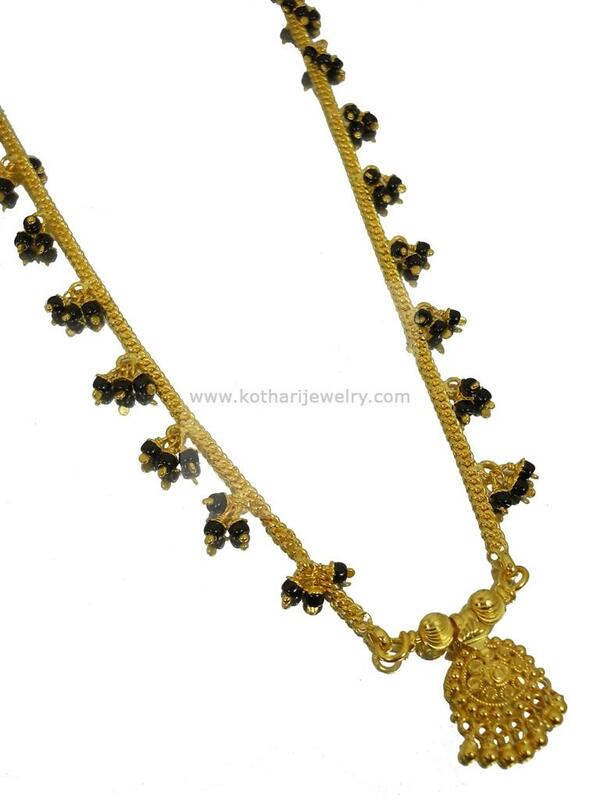 The mangalsutra consists of chain with attached dangling black beads. The gold mangalsutra is made in 22kt hallmarked pure gold. The mangalsutra consists of a delicate small pendant.